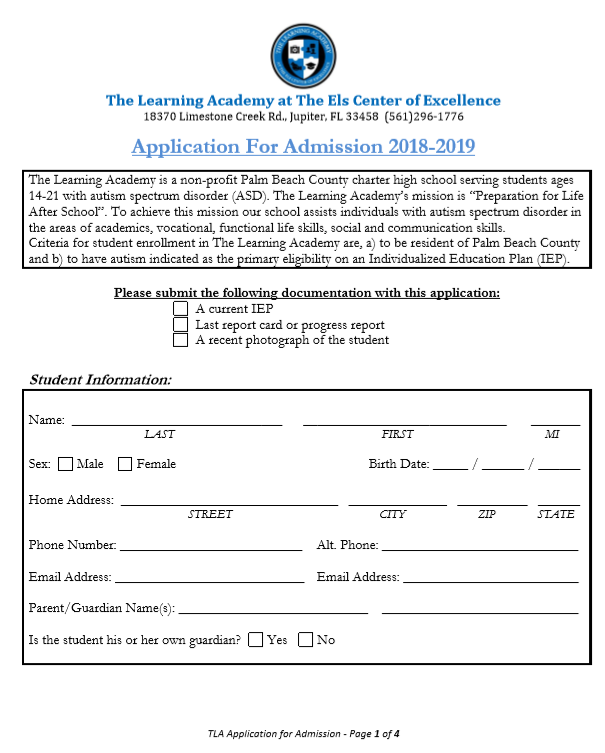 Interested and eligible students should submit a completed TLA Application for Admission (see below) with a copy of his or her most recent IEP indicating a primary eligibility of autism spectrum disorder. After a competed application is submitted, students will be placed on the enrollment waiting list. Submission of a completed application does not hold or guarantee admission to the school. When an opening within the school becomes available, as per Florida statute, openings will be filled by way of a lottery of students from the waiting list. The Learning Academy enrolls new students into the school based upon availability within individual homogeneously grouped classrooms. The individual and cumulative needs of the students in each classroom determine the availability of spaces within those classrooms. Maximum capacity of each classroom, and consequently capacity of the school, fluctuates based upon these unique student needs. When it is deemed that there is space for a new student in a classroom, available spaces are filled from students on the TLA Waiting List by way of a peer-match lottery. TLA reserves the right to periodically adjust the capacity throughout the school year in consideration of the above variables. DEFINITION: “Controlled Open Enrollment” is a public education delivery system that allows school districts & charter schools to make student school assignments using parents’ indicated preferential educational choice as a significant factor. Students residing outside of Palm Beach County may apply to TLA through the Controlled Open Enrollment process. 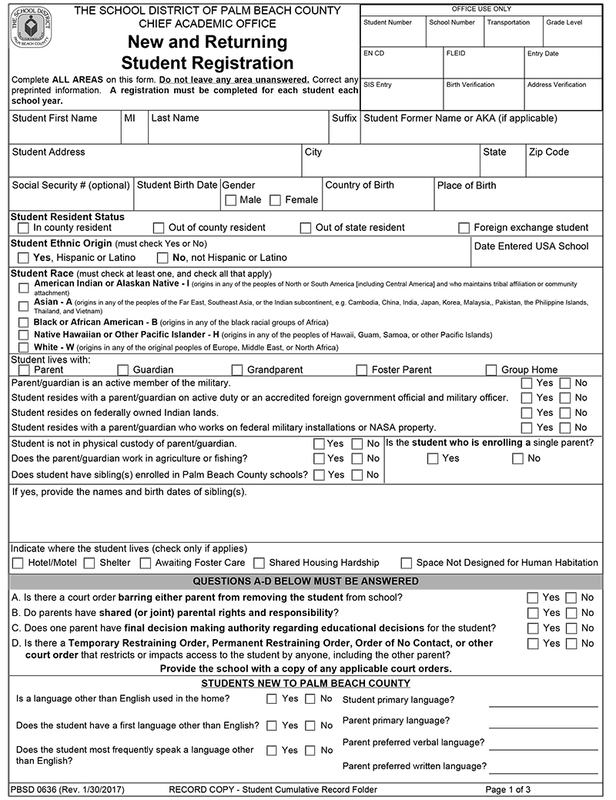 To request student assignment through Controlled Open Enrollment, an application must be submitted to The Learning Academy indicating the county in which the student currently resides. Once submitted, students will be placed on the “Controlled Open Enrollment TLA Waiting List”. Students are selected from this waiting list after all peer-matched students residing in Palm Beach County have been provided an option to fill an opening. Students residing in The Palm Beach County School District, including charter school students, may not be displaced by a student from another district seeking enrollment under the controlled open enrollment process.